People Helping Pantries. That’s us. Millions of people around the United States and Canada go hungry every day. 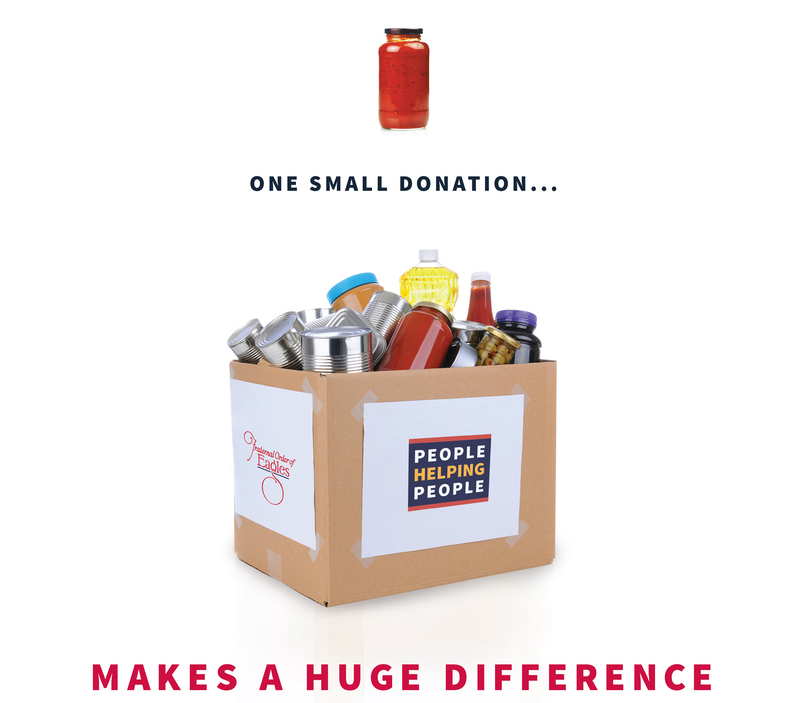 Grand Worthy President Tom McGrath and Grand Madam President Helen Poehner are asking everyone to make a difference by dropping off non-perishable food items to the Aerie and Auxiliary nearest you throughout the month of October in support of a local food bank. Help us help the millions in need by making a donation.